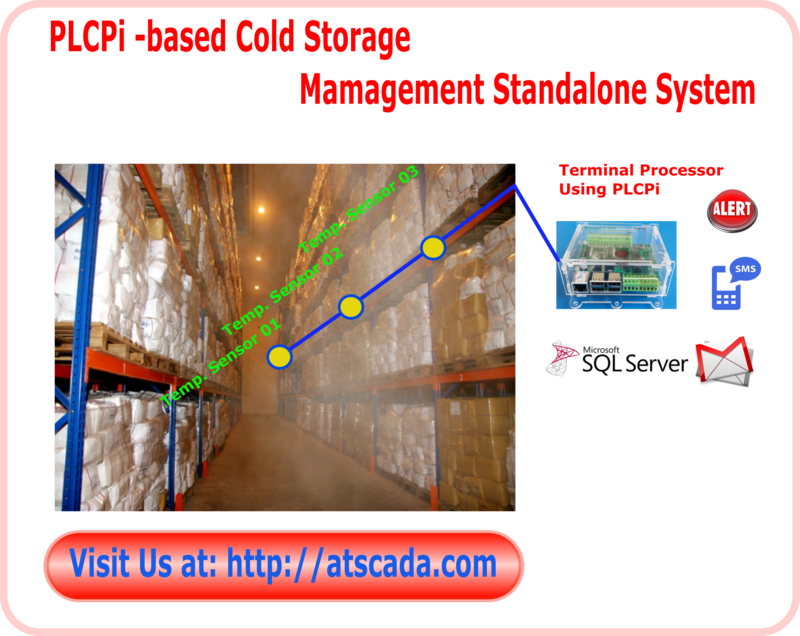 Based on PLCPi, We can generate a cold storage monitoring system. 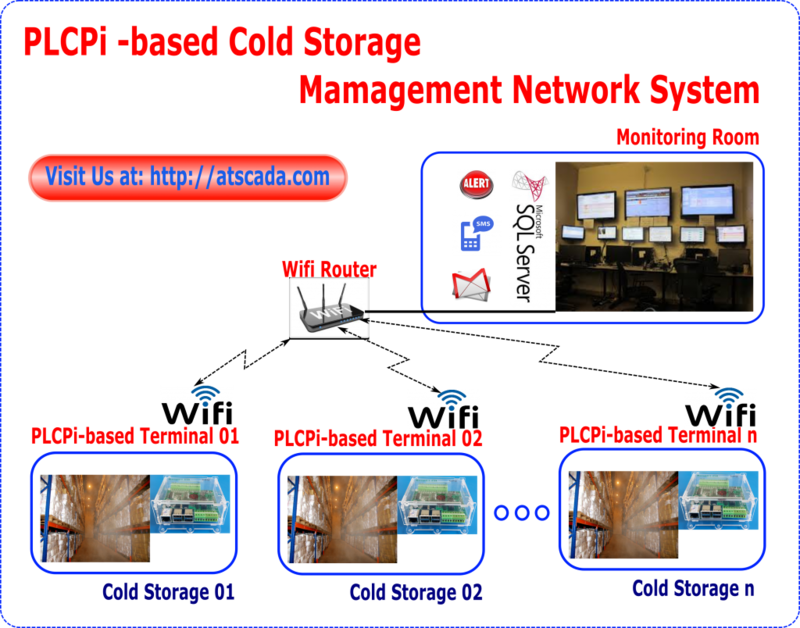 Just use a PLCPi for a cold storage – standalone device, but will need more if having more than one cold storage – network system. – Temperature sensors for collecting temperature value of many locations in cold storage. – 3G dongle for sending SMS and Email Alarm. – PLCPi connects to SCADA for providing realtime data for SCADA system or it can directly log data into SQL data base for storing or making report. Each PLCPi controller plays a role of collecting temperature value and making local alarm for each cold storage. For more information, please contact our consultant by hotline (+84) 907 520 445 (Mr.Phan Duy Anh).